War in Heaven is an open editon lithographic print taken from my Book of Angels. Armageddon was created for The Book of Angels for Barnes & Noble. 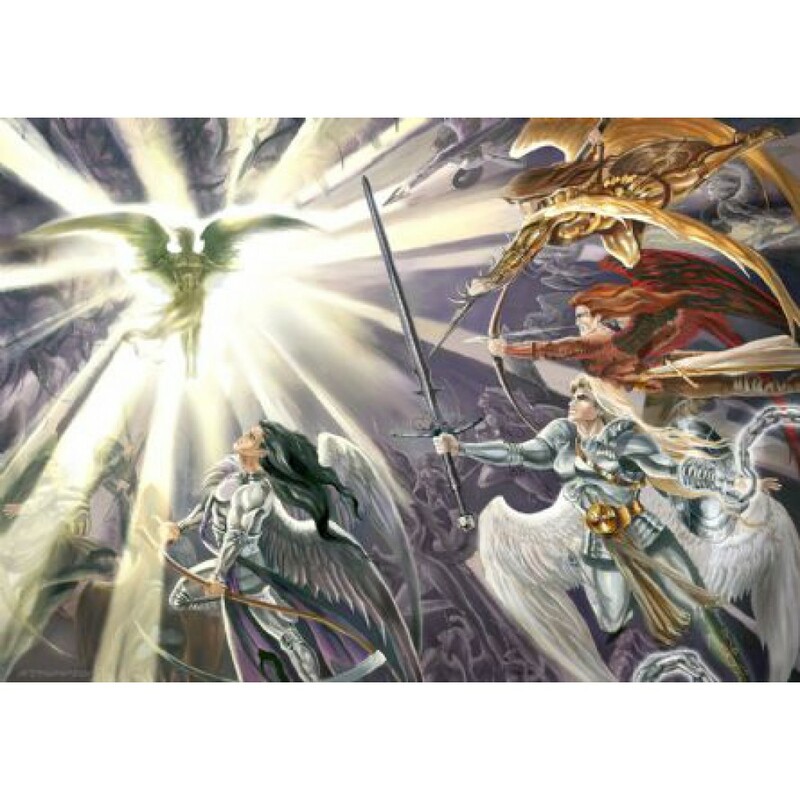 This was one of my favorites of all my angel paintings, with Lucifer cast in his role as the Lightbearer. 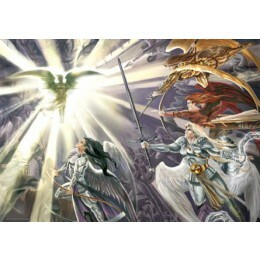 The other angels I depict are from left to right--Gabriel, Michael, Uriel and Raphael.